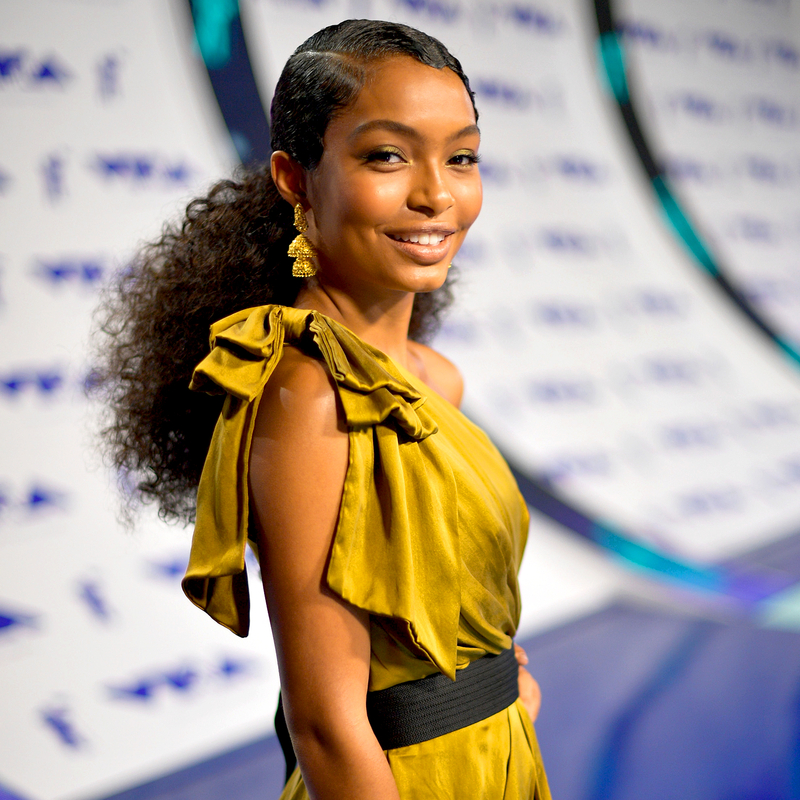 Yara Shahidi tends to get stuck on things she loves. Both the phone case and notebook in her 3.1 Phillip Lim bucket bag are covered in Napoleon Bonaparte decals from France. “I’m a history nerd!” explains the star of ABC’s Black-ish. The 17-year-old, who has her own spinoff titled Grown-ish coming to Freeform in 2018, schools Us Weekly on the rest of her tote. 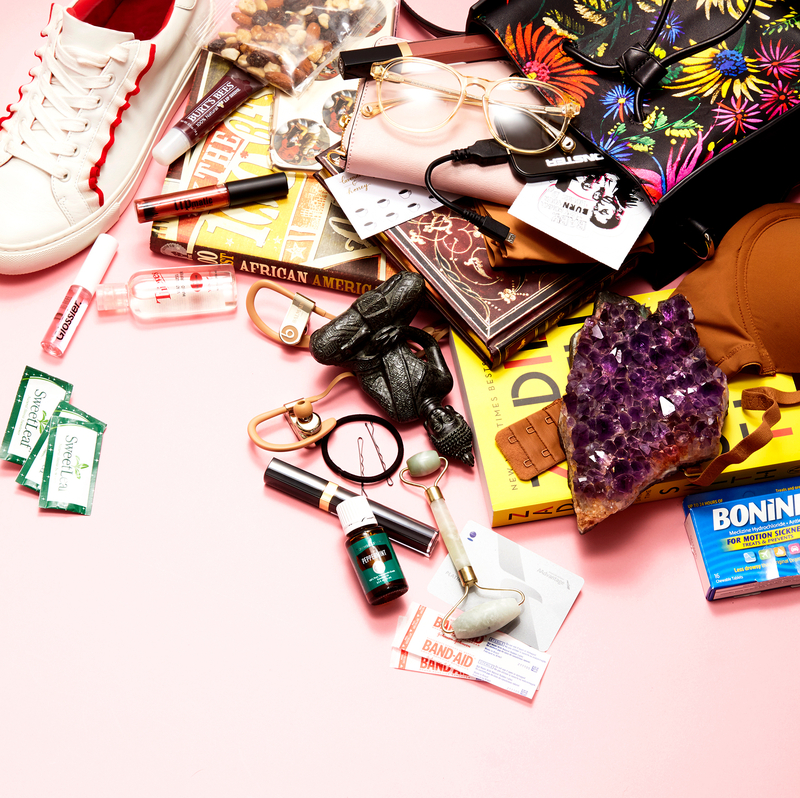 What else is inside Shahidi’s bag? A Tory Burch Parker Zip Continental Wallet in pink; Balmain x Beats Powerbeats3 Wireless in Safari; a Peter Pauper Press Bordeaux Journal; Raen Whidbey eyeglasses in champagne crystal; a Monster Mobile PowerCard in black; an extra pair of undergarments from Nubian Skin; a Lipmatic lip gloss in Queensbridge Bricks; a Burts Bee Lip Shine in Smooch; Chanel Rouge Coco Glosses in 716 Caramel and 768 Decadent; a Glossier Clear Lip Gloss; “Swing Time” by Zadie Smith; “The 100 Best African American Poems” by Nikki Giovanni; James Baldwin stickers; a Young Living Thieves Waterless Hand Purifier; a Young Living Peppermint Essential Oil; black hair ties; black bobby pins; Band-aids; an American Airlines Platinum card; a Lavender & Honey punch card; and SweetLeaf Stevia Sweetener packets. Season 4 of Black-ish airs Tuesday October 3 at 9 p.m. ET on ABC.